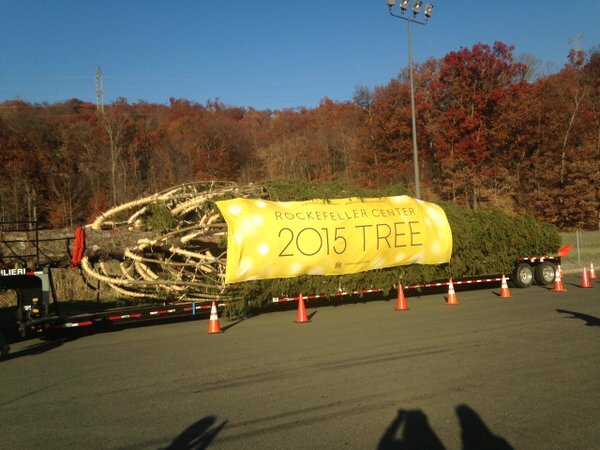 National Flag and Display produces Custom Outdoor Banner for the 2015 Rockefeller Center Christmas Tree. The Rockefeller Center Christmas tree is a worldwide symbol of the holidays in New York City. The first tree was erected in 1931 when workers constructing Rockefeller Center decorated a 20 foot tree with cranberries, paper, and tin cans, according to Daniel Okrent , author of “Great Fortune: The Epic of Rockefeller Center.” The 2015 tree is a 78-foot Hudson Valley Norway Spruce weighing 10 tons.